Today we are going to look into the best post hole diggers you can buy. Whether you want to use muscle power, spark up a gasoline powered model or link up to a tractor PTO we’ve pulled together 3 of our top recommendations in each post hole digger category. For our results at a glance, you can check out the 3 tables below. For a dedicated buyer’s guide and full reviews of each of our top rated picks, keep on reading. As the name suggest, the manual post hole digger relies on good old muscle power to operate. 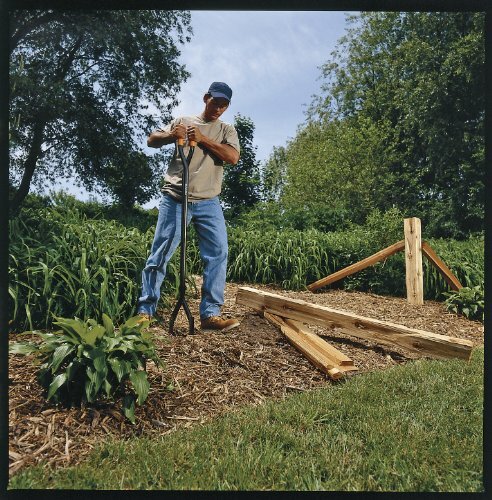 The tool helps you create narrow holes in the ground in which you can place posts for fences and signs etc. This is the most affordable option and ideal if you are only working on your own garden fence and are up for a bit of manual graft. There are in fact various designs of manual post hole diggers. No matter the type of post hole digger you go for, the end result is clearly the same. You will have a cylindrical hole in the ground ready to take the post. Some tools work by puncturing the ground until the blades disappear into the soil. The blades are then release and open as the digger is pulled upwards, loosening the earth as it breaks away from the ground. This is repeated until enough soil has been removed for the post to be set into the ground. Another, type of post hole digger is actually referred to as an auger. These are used when more depth is required. The tool utilises a shaft mechanism that is able to form a much deeper hole than the standard post hole digger. 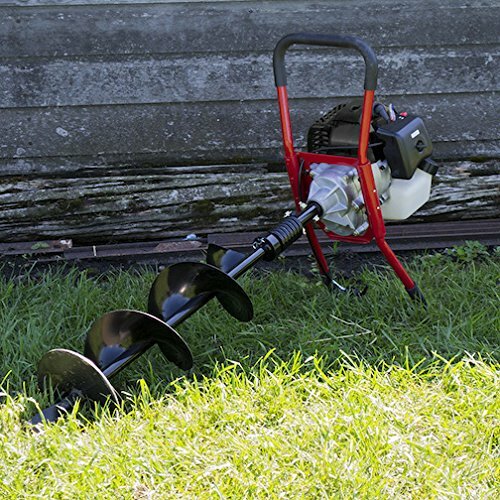 The two most popular hand-powered augers are the ‘clam shell‘ and ‘drill’ mechanism. While the design is simple and easy to get to grips with, it can be a strain on the wrists. 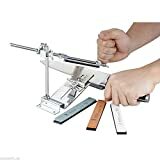 The opening and closing mechanism will tire the operator over time, and actually becomes more difficult to use the deeper you get, (the build up of dirt restricts the blade clamshell from opening and closing). This is where the benefit of the drill bit style tool comes in. The way the blade drills into the ground means it does not become restricted at depth. The winding motion requires less muscle power and is actually easier to use. The main flaw of the drill design lies in the fact they can only be used for a single-sized hole. The diameter of the drill bit is the diameter of your hole. That being said, the consistency of results is another great factor – your post holes are the same size throughout. The Seymour Iwan Auger really is a tough beast that deservedly gets our top pick post hole digger choice. Built with longevity in mind, the hardwood handle complete with riveted steel blade, (attached via tough, pliable iron yoke) really is a satisfying design to use. You can feel the quality the manufacturers have instilled into this tool as soon as you hold the tool in your hand. It is actually quite alarming how efficiently you can dig holes with this beast. The sharp, 6 inch point spread makes fast work of even soil and clay, with the full steel shaft and welded steel t-handle staying true in even the toughest conditions. One user even commented that they had managed to dig a 30 foot hole with the Seymour Iwan Auger (after merely extending the handle with 3/4 inch pipe and couplings). And all of that without a gasoline powered motor in sight. The product is fully made in USA. You will experience issues if using in very rocky soil. The Seymour 21306 AU-S6 Iwan Auger is a tough tool. For digging holes manually, in our opinion it is one of the best solutions out there. If you are prone to blisters you may want to wear gloves while using the Seymour however. 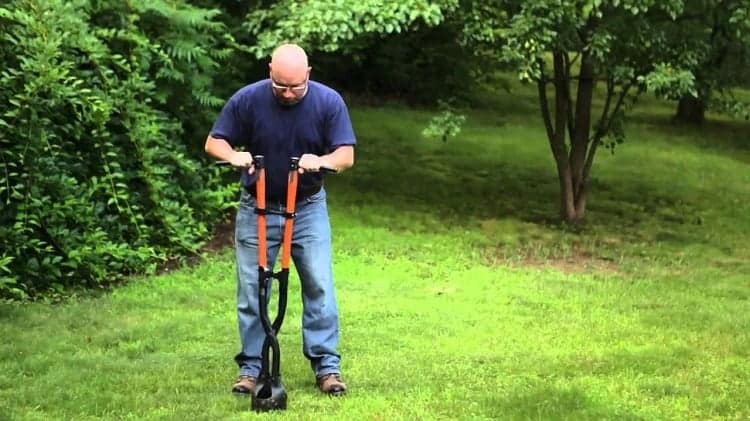 The Fiskars steel posthole digger makes our list because it is affordable, easy to use and for home garden use is not back-breaking in its operation. Fiskars are reliable name in the world of manual garden tools, (a number of their products have made our top 5 picks in various categories) and the great balance of cost to build quality is evident here too. Fiskars have opted for a durable welded steel construction (that outlasts wood in far as tolerance and exposure to moisture). The tool utilises a welded steel pivot joint for extra strength too. The blades are pre-sharpened for greater performance, (you will find Fiskars does a good job of cutting through even the most compact, hardened soil) and are welded directly to the main shaft for increased strength. 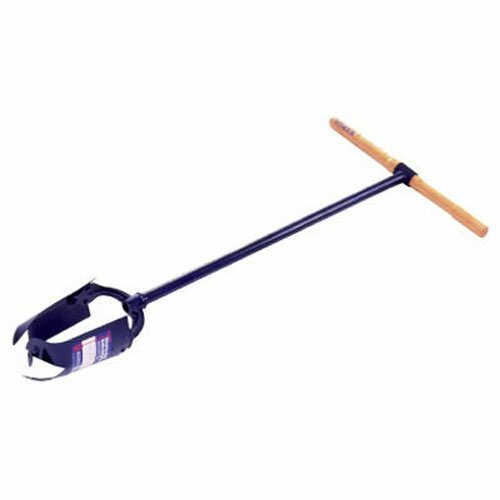 The design incorporates offset handles which allow the operator to dig postholes up to 12 inch deeper than standard length manual post hole diggers, (total digging depth comes in at an impressive 4 feet). The handle shape also prevents your hands from chaffing together as you work. To top it all off, the Fiskars is entirely powder-coated to help prevent rust and corrosion, and comes complete with a lifetime warranty. 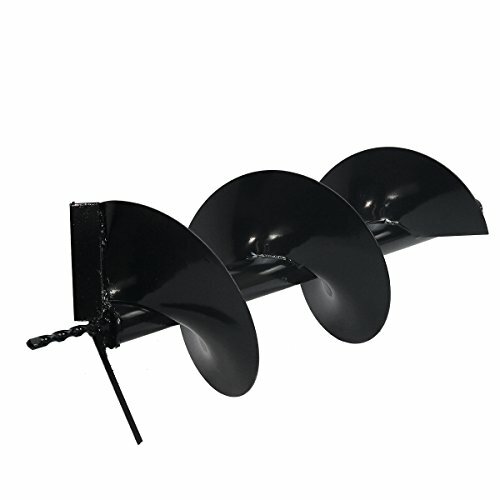 Offset handles allow for extra depth over standard designed post hole diggers – up to 4 feet in total. The blades should close tighter. This does impact the overall efficiency of the tool as earth does fall away as you work. Overall the Fiskars 60 inch post hole digger is the ideal tool for home garden use. It is strong, sharp, durable and easy to use. All of which make it great for those occasions when you need to dig a post hole in your yard. 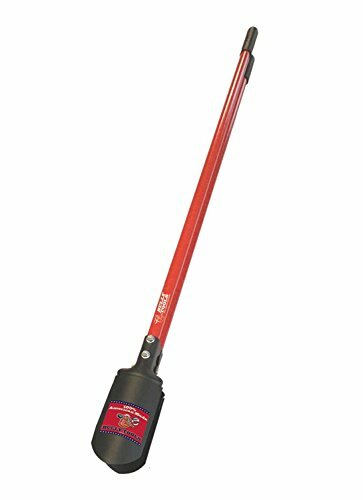 The Bully Tools 92382 5.5-Inch Post Hole Digger is a fully USA made tool and was a close contender for our number one choice. The build quality is robust enough for home garden use. Bully Tools have opted for heavy duty fibreglass for the handles, (they incorporate a triple wall construction for extra strength), with blades made from robust 14-gauge steel. The blade dimensions come in at 9-inches by 5-inches which will bore a wide enough hole for standard fence posts. The length of the handle is 47-inches long, with the total tool length coming in at 59.5-inches. 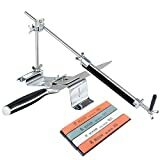 Easy and efficient to use, Bully Tools have come up with a great product here. The 92382 comes complete with a limited lifetime warranty and really is a top notch tool for gardeners and landscapers. Ergonomic design that aims to help reduce physical strain on the part of the operator. 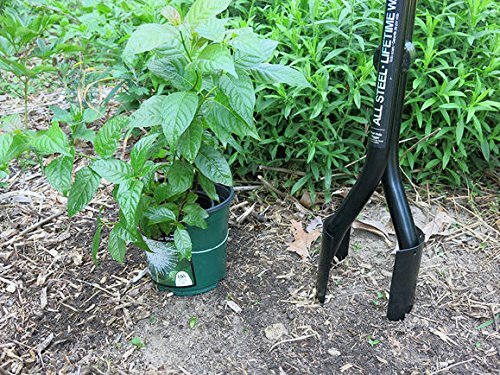 The Bully Tools 92382 post hole digger is a great manual option for the garden. Robust, affordable and comfortable to use it is ticks a lot of boxes. As too the fact it is fully made in the USA. However, under tough conditions some users have found issue with the durability of the tool. This should be considered before you buy. 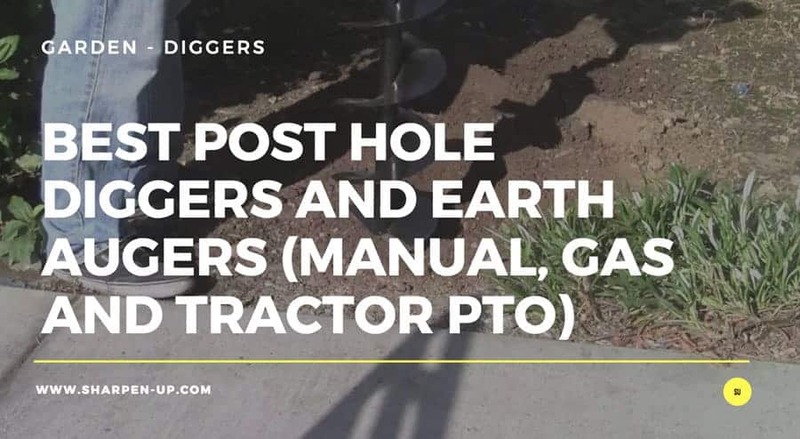 If the above manual tools all sound a bit too much like hard work, a gas post hole digger (auger) is probably the best option for you. Utilising a motor to generate the power in place of your arms and wrists, the gas powered auger is a much faster and more efficient tool to use. They are the best pole hole auger if you are working on a large sized garden or on landscaping, farming and construction work that requires a lot of posts. The gas powered post hole digger bridges the gap on projects where the manual digger would take too long, and heavy tractor powered solutions would be overkill. This type of auger uses gasoline to power the engine that rotates a threaded helical drill bit that bores into the ground to make the hole. 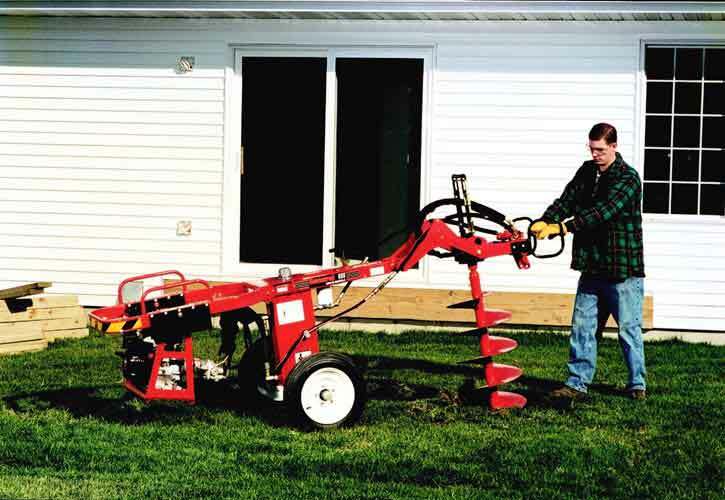 The power on a gas auger ranges between two horsepower (2HP) to five horsepower (5HP). The largest are best suited to tougher jobs on harder soil. (The trade off is that they are more cumbersome to use and will often require two people to operate). 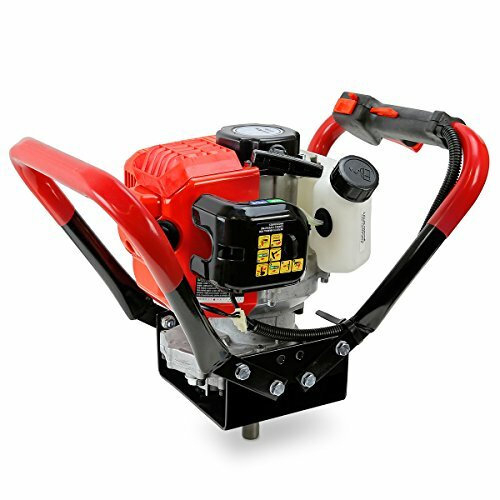 When buying a gas post hole digger you will have a choice between a two-stroke or buying a four-stroke engine. 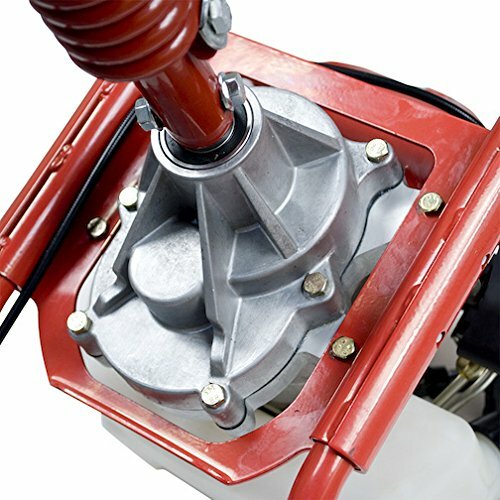 The benefits of the two stroke motor is that they are generally more affordable to purchase. The downside is the fact they can be louder than the 4 stroke engines and will require the gas and oil to be missed together for operation. 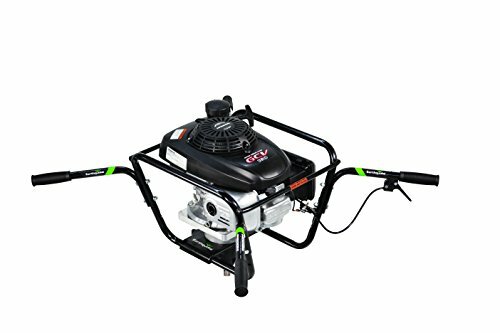 The big advantage of the four-stroke engine is both the noise reduction and simpler operation, (you will not need to mix the gasoline). As we covered above, the gas post hole digger comes in a range of HP and engine size. However, the variables do not end there. When buying a gas powered auger you need to consider the size of the drill bits, the materials used in construction and any other features that may be included. Let’s take a look at some of these in greater detail. The diameter of gas power auger bits range in size. The largest you are likely to find is 10 inches. The smallest comes in at around 2 inches. Clearly it is important to ascertain the drill bit size on the auger you purchase as this will determine the diameter of poles you can place into the hole that you make. Depth capacity is another important factor to consider. The deeper you need to dig, the more powerful motor and larger drill bit you will require, (it is important to realise that drill bits are interchangeable on most augers). Auger bits typically run to a depth of 76 cm (30 inches) or less. The gas auger you buy will come with a standard bit, and it will be up to you to purchase additional bits in line with your digging requirements. Be sure to check that the drill bit you are purchasing is design for the right use. Some are best used for drilling through ice instead of earth. While this should be very evident within the specs of the auger you wish to buy, it does not hurt to clarify this before you part with your hard earned cash. Finally, you should consider the overall height and size of the tool. Shaft length is a factor here. A short shaft may prove difficult to use if you are a tall person. The most common length on gas powered post hole diggers is around 60 cm (two feet). A shaft of this size will see the handles positioned above the waist of an average-sized person. This length is also long enough to accommodate the standard depth of fence and sign posts into the ground. Beyond this standard shaft size you can always purchase bit attachments as well as shaft extension shafts should the job require deeper holes. As we touched upon earlier in this guide, the different sized engines on gas powered augers can call for an extra person to operate them. This raises the question – do you opt for a larger auger that requires 2 people to operate, or go for less power that only requires one person. The answer to this really is dependent on your needs and access to assistance. 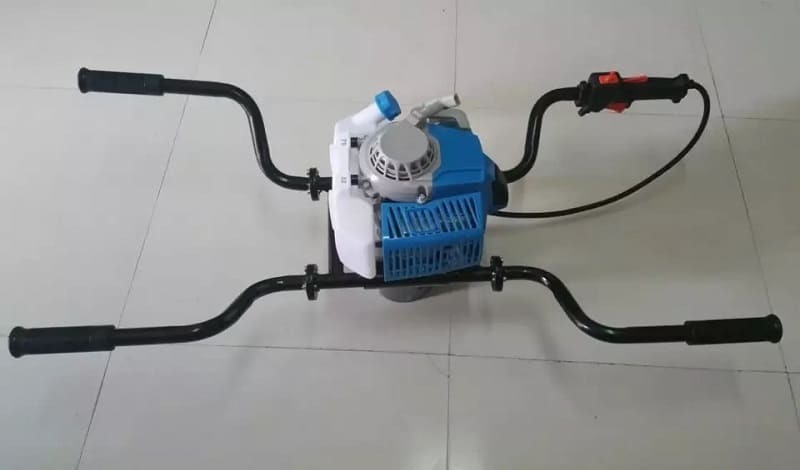 If the project is a big construction job, you will probably need the power of a 2 man auger and will have access to the personnel to make it work. If the job is smaller and you will be working alone, (or recruiting an extra pair of hands will be difficult), you will be forced to opt for a smaller one person auger. The XtremePowerUS V Type 55cc post hole digger gets our top pick gas option for a number of reasons. First off is the power you are getting in a one man operated tool. The 55cc 2 stroke motor has a rated output of 1090W. This provides more than enough power to the auger allowing you to easily bore holes to varying depths using the provided 4, 8 and 10 inch bits. The fact that you do not have to go out and purchase extra drill bits is a real plus point. Everything you need to get started is included with the main unit, (except grease for the gearbox we should add – this is not supplied and you will want to apply some before firing up the motor for the first time). 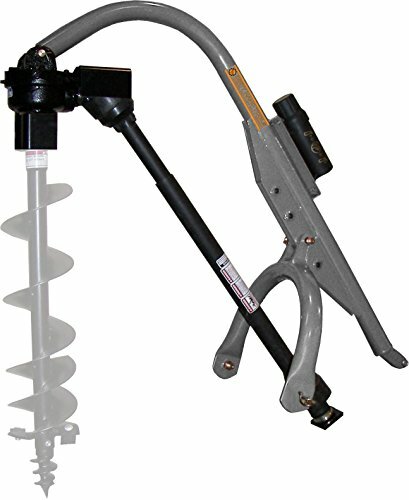 For such a robust tool, the XtremePowerUS auger is extremely light weight and easy to use. 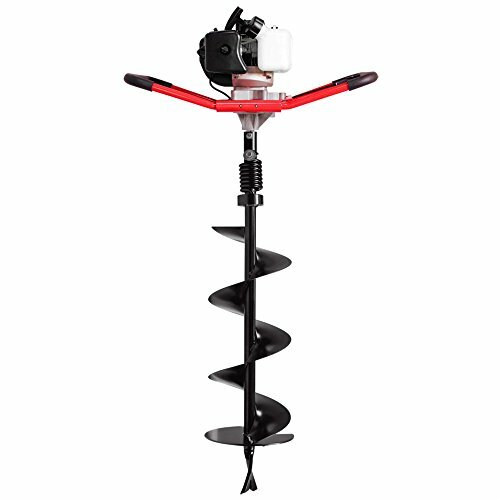 If you wish to dig holes for fence posts or decks, or even planting trees and shrubs and do not wish to exert muscle power in the process, this is the gas powered auger to buy. 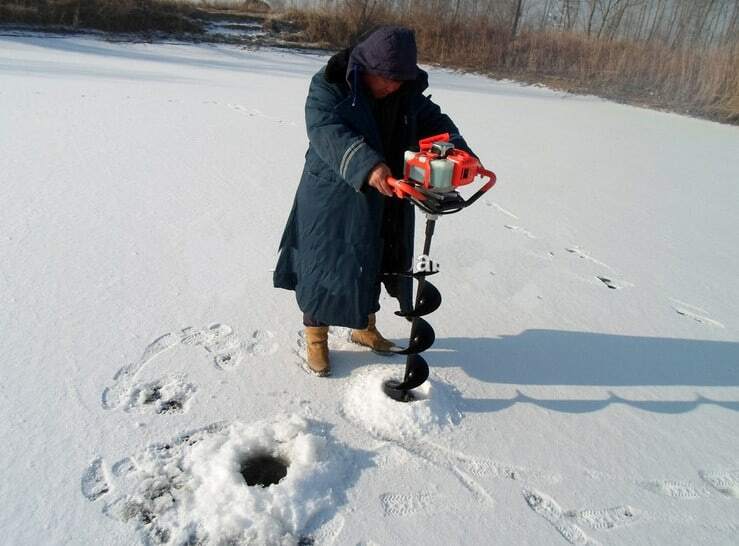 (Furthermore, with an additional drill bit you can even take it out onto the ice to drill a hole through for fishing). 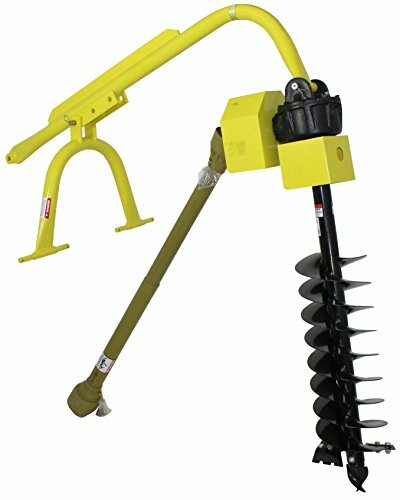 In our opinion, the V-Type 55CC 2 Stroke Gas Posthole Digger One Man Auger (Digger + 4″ 8″ 10″Bits) is currently the best one person operated gas auger you can buy. Powerful yet light weight with robust cutting performance. Add that to the fact 3 drill bit bores are thrown in with the purchase and you have an excellent tool that comes highly recommended. The Southland SEA438 43 cc 8 in. 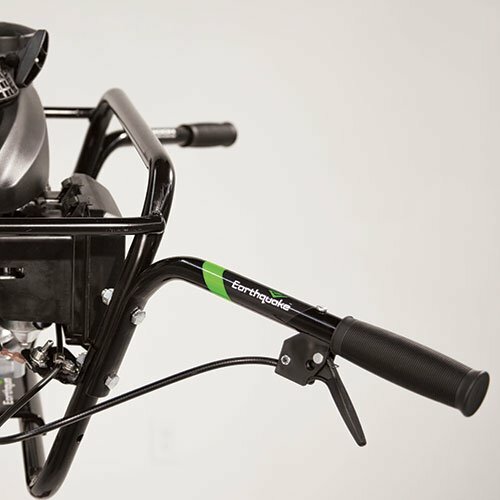 Earth Auger Powerhead is another 2 stroke tool, this time with a speed up to 316 RPM. It is slightly less powerful than our top pick with 43ccs under the hood, however as a one man operated auger it has the capacity to suit a wide range of hole digging jobs. A total of 1.3-feet.-lb. of torque is available on the Southland, that comes complete with an 8 inch auger bit. (Another reason this falls short compared to the top pick is the fact only one bit is provided). A well thought out feature from Southland is the translucent fuel tank. This makes gauging how much fuel you have left very easy. The construction is lightweight and easy to hold. Assembly of the machine is simple too. Along with the convenient manual recoil start, you’ll be up and running in no time using this tool. Included in the pack are two open end wrenches, a spark plug tool, and a small bottle of premix oil. For increased reliability and safety assurance, the Southland SEA438 earth auger is CARB compliant and EPA approved. It is also comprehensively backed by a two year manufacturers warranty. Overall the Southland is a reliable, well made gas powered auger. Lightweight and easy to use under one man operation, this tool will perform as you need. However, when compared to the increased power and extra bits of the top pick XtremePower, the Southland does fall a little short. For those that require the power of a two person operated gas powered earth auger, the Earthquake 9800H is our recommended pick. Designed for the big jobs the 9800H earth auger powerhead has some very impressive specifications. 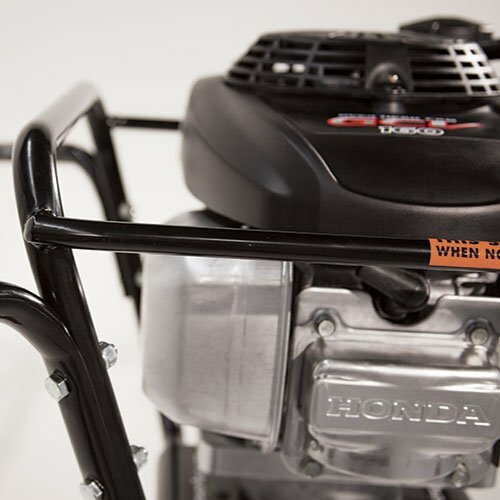 The 160cc Honda engine is the heart of the machine; the overhead cam design runs cooler and more efficient than any 2 stroke option you can buy. 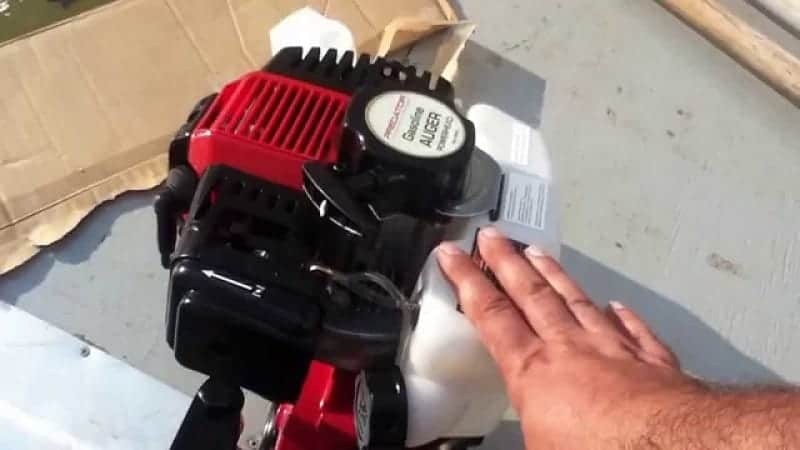 (As we stated in the buyer’s guide, 4 stroke engines really are the ones to go for if your budget can stretch to it). The quality construction extends to the solid steel, heat-treated alloy gears. Add that to the fact a 3 inch centrifugal clutch is fitted within the machine, and you have a tool that is up to some major heavy duty digging. The Earthquake 9800H is at home tackling a wide range of soils and will be your go to tool for fencing, planting trees and any other hole digging project around your farm, ranch on construction site. Other features include an easy to grip fingertip throttle, anti vibration rubber handles and a tubular steel cage that protects the unit during transportation or while not in use. Total cutting width comes in at 14 Inch. Our top pick 2 man gas powered auger really is quite a beast. 160cc under the hood with some very nice design additions. Highly recommended. For industrial purposes or large farm based jobs, the tractor PTO auger may be required. 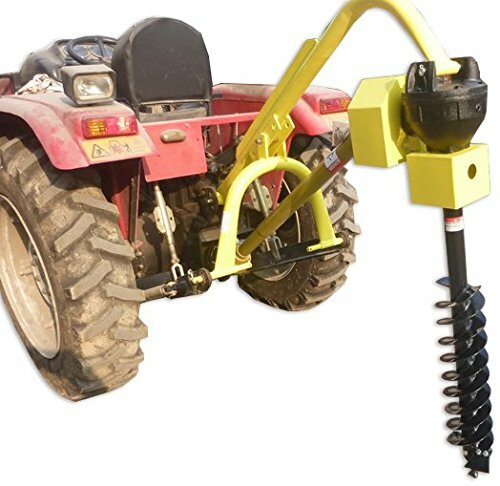 Very often classed as Earth Augers, this type of post hole digger utilises the tractor’s power take off (PTO)and 3 point hitch to function. The tractor PTO auger works by an attachment to the tractor PTO shaft. Most auger gearboxes will come with a shear bolt to protect the gear drive. This will stop the main motor from overstraining should the auger drill bit hit an obstruction such as rock during drilling a hole. The size of the hole is determined by the diameter of the auger drill bit that is fitted onto the auger. These of course are interchangeable. 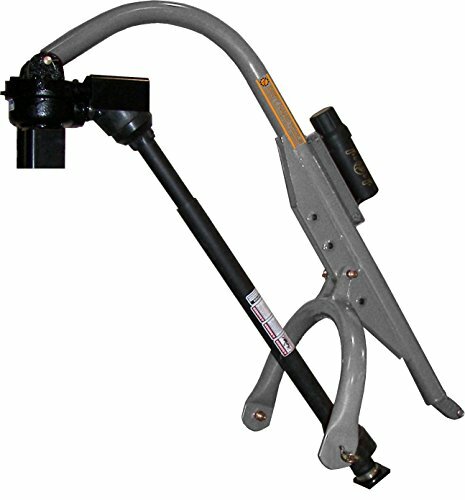 The hydraulic earth auger is a variation of the tractor PTO auger. 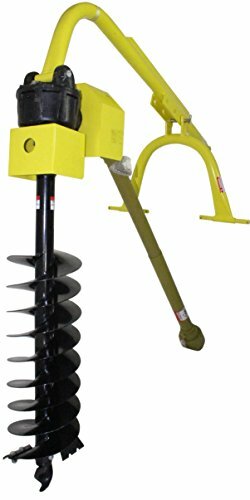 They are generally more expensive to buy that the PTO post hole digger, however one clear advantage is the fact the hydraulic system has the ability to easily reverse the auger when it’s stuck or has stalled. This eliminates the need for shear bolts. When the motor reaches its torque limit, the motor will bypass and shut down to protect the components. The first of our earth auger picks is the Titan Posthole Digger. This model utilises the tractor’s existing 3 point connection and PTO. Power is the name of the game here, with a total of 60HP at your disposal (the Titan is suitable for tractors with this much power) you can appreciate the digging capacity you have here. 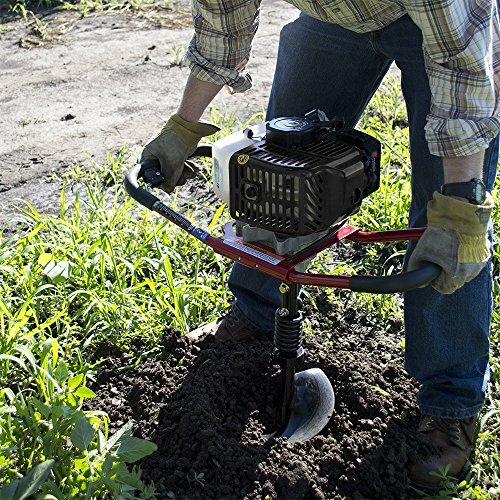 Made from construction grade steel, the Titan is a heavy duty instrument designed for farm and industrial grade work and tough soil environments. 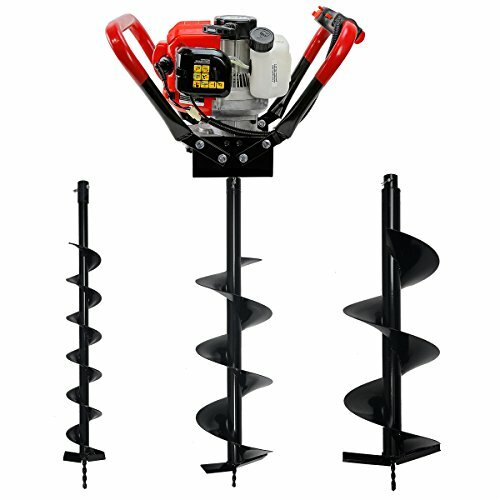 The machine comes with a 12″ auger that has a drill capacity up to 24 inches, (suitable for tall posts). There are 6 and 9 inch augers available for the Titan however these have to be purchased separately. 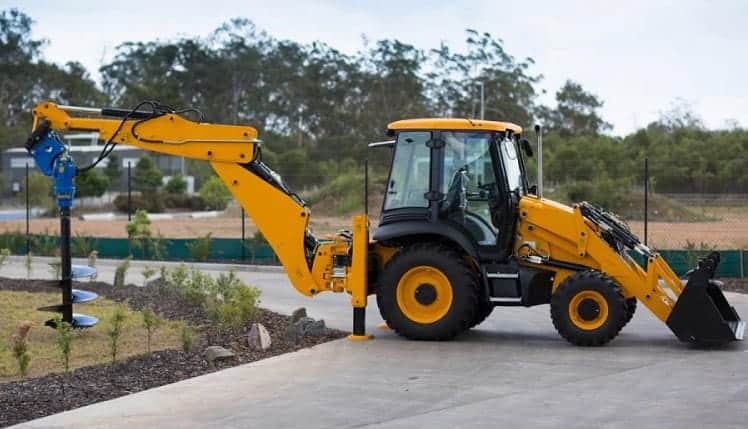 Other important specs include an adequate PTO speed of 540RPM, the gearbox rate comes in at 3:18:1 and the overall weight of the unit is 242 lbs. There is very little to fault on the Titan, it does the job it is designed to do with little fuss. If you are looking for a earth auger powered by your tractors PTO you need look no further. 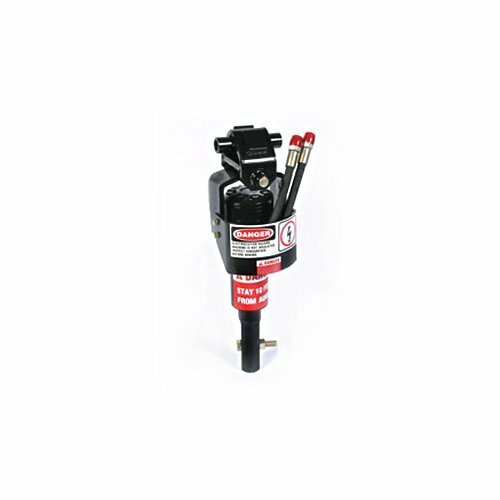 If the 60HP capacity fits for you this tool will reliably take care of you fence post hole needs. The Dirty Hand Tools Model 90 Post Hole Digger enables you to effortlessly dig holes from your tractor seat. The Model 90 is a reliable solution that will turn any category 0 tractor into post hole digging machine via the PTO. The mountable machine features heavy duty drive lines. To handle the demands of large and deep holes in tough soil conditions, Dirty Hand Tools have included a heavy duty gear box and high strength 2-7/8″ O.D. tubing construction. Shear bolt protection is in built to prevent engine and gearbox overload should the auger hit hard rock during the digging process. One issue to consider if the Dirty Hand Tools Model 90 meets your requirements is that the augers drills are sold separately, (the range is impressive however, with 6, 9 12, 18 and 24 inches are available). The manufactures also include extensive warranty coverage (there’s a 3 year warranty on the gear box, boom, auger and A-frame, and a 1 year warranty on the drive line). Overall a solid build with great warranty backup. Highly recommended. The General Equipment Company 471 Series DIG-R-TACH Hydraulic Hole Digger Attachment is our top pick hydraulic digger. 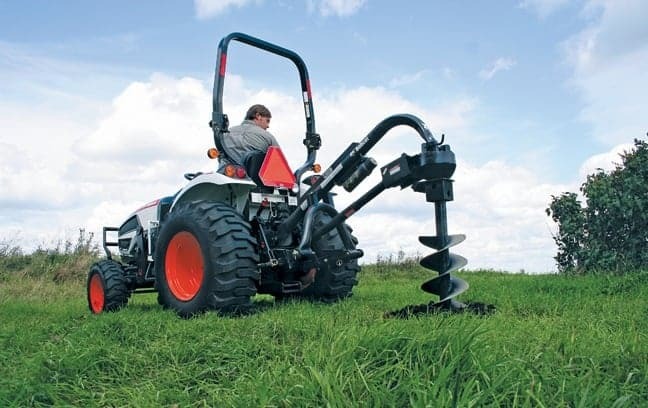 As mentioned in short buyer’s guide section above, hydraulic hole diggers do have benefits above standard tractor PTO models. General Equipment have kitted out the M471-12 with a 2 inch hexagon auger connection, (compatible with the 4710 series of augers). Other important specifications include a flow of 5-10 GPM (19-38 lit/min) and a pressure range of 1500-3000 PSI. The versatility is good on the M471-12. The machine can be utilized with compact tractor loader backhoes as well as mini excavators and small tractor loaders. However, there are some distinct limitations that need to be considered with a earth auger of this type. General Equipment state that their hydraulic auger should be used with skid steer loaders. They also recommend that the M471-12 attachment not be used with any carrier vehicle that doesn’t have a proper protective barrier between the auger and the operator. Another precaution stems from the fact the attachment is not designed to be mounted to the dipper stick bucket of compact tractor loader backhoes. Gravity limitations make this unsafe. If you are looking for a hydraulic powered solution to your earth auger needs, the General Equipment Company M471-12 will likely fit the bill. You should ensure you are fully aware of compatibility and safety issues before you buy however.